Lots of NEW, beautifully remodeled-all electric home. Freshly painted, NEW carpet, tiled flooring in Kitchen & Bathrooms. Inviting Kitchen has been remodeled & also features recessed lighting, delightful cabinet design, Bay window frames the Living Room; 2nd Bathroom features custom tile tub surround. Enjoy covered & finished porch & patio. 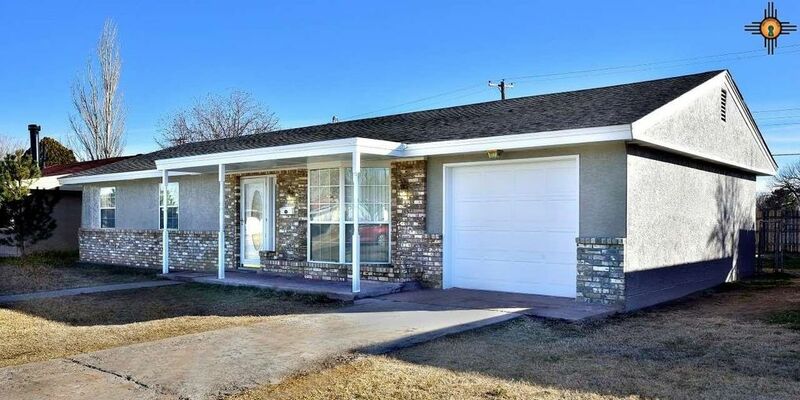 Wood fencing encloses the backyard with RV gate & stucco workshop/storage building with ceiling fan, work bench & shelves.Lots of NEW, beautifully remodeled-all electric home. Freshly painted, NEW carpet, tiled flooring in Kitchen & Bathrooms. Inviting Kitchen has been remodeled & also features recessed lighting, delightful cabinet design, Bay window frames the Living Room; 2nd Bathroom features custom tile tub surround. Enjoy covered & finished porch & patio. Wood fencing encloses the Backyard with RV gate & stucco workshop/storage bldg. with C.F. work bench & shelves.